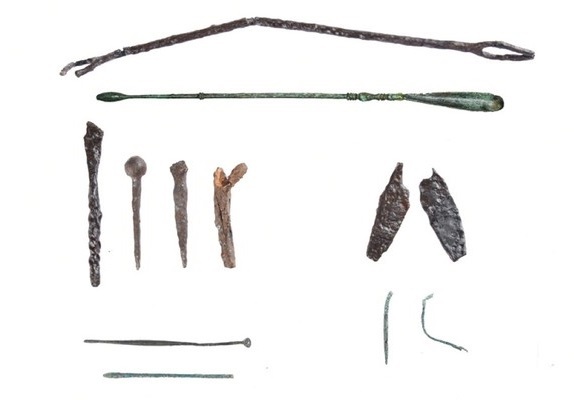 A team of archaeologists has found an ancient Asklepeion (health centre) and medical tools in excavations in Turkey's Gölyazı village in northwestern Bursa (Greek Prousa) province, the Demirören News Agency (DHA) reported Thursday. The new findings show that the ancient Greek city of 'Apollonia ad Ryndacum', dating back to 2,600 years, had a "working health and wellness centre". The modern-day Gölyazı village sits atop the ruins of the Greek city, which is located on a small island in Lake Uluabat in the southern Marmara region. Possibly founded as a colony by Miletus, the city experienced prosperity under the Attalids during Hellenistic times. The Roman Emperor Hadrian visited the city and in the Byzantine period, it belonged to the Diocese of Bithinya, then Nicomedia. Bozbey said that the region was an important center of medicine for the region, which is reflected in the fact that "Apollonia ad Ryndacum was a city in which the ancient Greek hero and demi-god of health Asklepius was respected." He said that the excavation team had previously unearthed a tomb in 2016 that belonged to a physician and his family.